Veronica Roth created a fantastic heroine in Tris. Tris is the product of a factionalized society. Every person has five factions to choose from:Candor, Amity, Erudite, Dauntless or Abnegation. The day someone has to choose their faction is the most important of their life, for this decision will affect the rest of their existence. 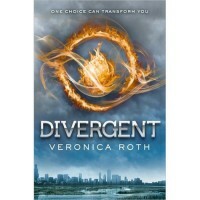 For Tris it was not different, her decision was challenging everything about her. She starts without physical skills and is the weakest of the group. She works hard and makes her own luck. What I love about this character is her internal power. She has such will power that she becomes what she wanted to be. There was no other route for Tris but to become part of her new faction. Her weaknesses are transformed into strength when she seizes her fears and becomes a new person. Roth wrote a story in no way sugar coated. This story is tangible and intense and unique in its development. I loved this book not just because of the level of creativity in this series, but also for its thought provoking ideas. Divergent contemplates an utilitarian society where each of this five communities(factions) has a task to contribute to society. The series deals with politics, society and the human condition. Individuals choose a faction and behave according to its paradigms. For generations everyone has decided on a faction and that way society has kept order. They choose, then go to a faction and life goes on. But this makes me think, how is it possible that people are snatched from their individuality and nobody does anything? What would I do? What would I choose? 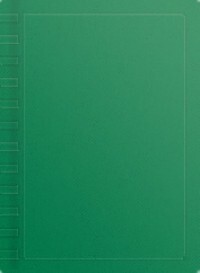 Written in journal style, this book shows the fictional story of a girl in search of her family. Kellie has a diary in which she makes entries about her daily happenings. Events in Kellie's Diary occur in the 90s, where this girl still in elementary school begins to write in this journal what she observes around her. As days go by, people with flu show in the population, as it is evidenced in the entries Kellie writes in the pages of her journal addressed to Barbie. The situation becomes difficult when she observes the first attacks and also, it is then that the story reaches its climax. 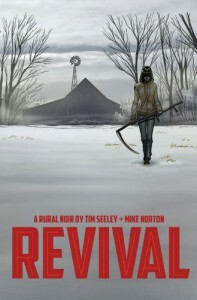 The fight for survival starts for Kellie. Kellie with cunningness, intelligence and courage embarks on a journey to her home and to her family. It has been a while since I have read a book that was so amazing for its simplicity and way of presenting the plot’s situation from the start. Journal entries are generated in a straightforward manner by presenting errors and corrections as a child would have written them in an effort to show their experiences as they are occurring. All entries except the first, are addressed at Barbie, name given to the journal by Kellie. When she composes each diary, Kellie writes as if she was sharing her feelings with a friend. This gives a sense of camaraderie to the interaction between Kellie and her ​​diary. Authors Thomas Jenner and Angeline Perkins manage to create a unique experience in this character. Kellie has to make decisions that even an adult would find difficult by fear and terror. This girl is bold and wise, has common sense and intelligence, reasons that provoke in me fast interest in the events surrounding this girl. I kept reading so I could know what she would do next. This book left me wanting to know more about Kellie and about the 90’s as this decade is represented in Kellie's Diary. 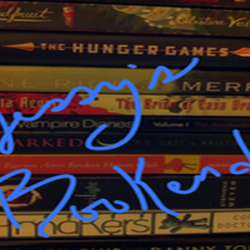 This is a series I want to continue reading during 2014. The plot of this comic is very interesting. Saga starts with a couple in the process of receiving their daughter in the world. They live in a place in which both are enemies for political situations. Alana comes from Landfall and Marco from the moon of the planet, Wreath. These two territories are at war, so they begin a journey in search for peace to have their relationship and to protect their baby. This family is chased by many enemies who want to imprison and threaten their safety and the newborn’s. Additional dialogue is intertwined into the story narrating the events in the voice of the child. This gives the story a sense hope, knowing that somehow in the future in Saga, we will see the characters succeed in finding sanctuary. This comic written by Brian K. Vaughan has smart dialogue that invites to be read. Vaughan’s plot and the art created by Fiona Staples in Saga, support of each other, making a comic I am delighted to read. Definitely I will continue with this series, as it is a promising one. The dystopian element in this has various conflicting elements. -Population cannot live life freely. True freedom doesn't exist on the pods. -An artificial world mainly computerized has been created to maintain contentment and safety. -Genome have been manipulated to a point where population is easily affected by environment. Now about the characters. At first, I didn't know how to picture Perry. He seemed a wild thing. Then the events guide you into his journey and you get to know his true self. He is more organic and follows his gut filling, something Aria is not used to. Aria is an interesting heroine. She becomes a complex character while traveling with Perry. I liked she changing into something entirely new. Plus, I like their names, really suit them. Always thinking about covers, I liked the covers for this book. My edition's cover is gorgeous. It takes into consideration the setting. Aria is on the cover and it seems she is walking in an Aether storm. The colors look fantastic. Overall, this book is a 5. I recommend this to YA readers, NA readers, dystopian lovers and well readers in general who just want to read something new strong in unique creative story building. Oh and if you are into Sci Fi grab this book. I can’t remember when I found this book but since I found it has been sitting on my reader. Well, some days ago I decided to give it a try and what a nice surprise to find how much I liked reading Bad Apple. Bad Apple is the story of a girl, Neal who has learned to make herself invisible for the sake of self-preservation. She ended in a dysfunctional family that took everything from her. This cycle ends when she gets to know a boy, Truly who is a music genius and his family offers something completely different to her. Truly and Neal are an interesting pair. We can see how they find each other thru music. They communicate with songs continuously and without the music Bad Apple wouldn’t be the same. Barbara Morgenroth intertwined lyrics neatly in the narrative. Music made this book refreshing to me even though it discusses the impact a dysfunctional family has had in the life of the characters in the story. When Neal and Truly get together to make music, Neal’s life changes. She finds stability for the first time and it is good to see her becoming a new person. oInteresting setting and chain of events. oMusical element is well used. Makes the characters approachable. The story just stopped! Then the book gives a preview of Chapter 1 of Burning Daylight (Bad Apple #2) which to me should have been the last chapter of the first book. It doesn’t make sense as the beginning of the second book when the ending of the first one is lacking the cohesiveness that chapter could have brought to Bad Apple. This comic made a big impression on me. The story is grabbing and certainly challenging in content for the author. It works an infinitely used idea, people returning from the dead, and a interesting idea is born. What if people return and behave just as they used to before dying? Should we be welcoming? Are they a threat? The story has lots of possibilities, all in the hands of this author. I read this, already thinking about the next volume now because it is that amazing. It has amazing art to match it. Colors are really nice and the drawing style is exiting, never boring. 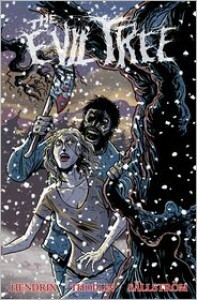 I recommend this comic to all comic readers but also to those who haven't read a comic yet. 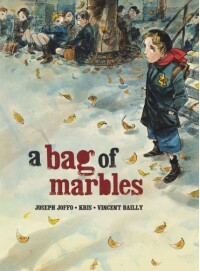 This is the kind of book that surely will make you a comic reader. Thanks to Image and Netgalley for providing me this for an honest review. 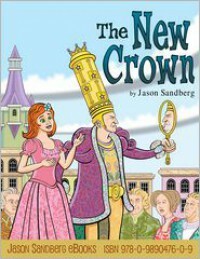 *I reviewed this book first at my blog Jessy's Bookends. The Joy & Torture of Joshua James is the story of a kid who moves to a new community. He gets to know her next door neighbors, Jordan and Jessa and everything seems fine, until this girls show him what they are capable of. Joshua is a ragingly hormonal kid who thinks according to his sexual drive. That is why everything goes south for Joshua James. He gets involved with both girls up to a point where he begins to doubt their sanity. Joshua James makes poor decisions and gives the impression of being a simple minded individual. This is what makes him interesting. Joshua is not the perfect kid character who provides for the idyllic story. His descriptions are raw and in his antihero quality he is real. Author Julie Duck was on point in changing the story's course. Just when the story gets predictable the characters surprised me. When I had high hopes for the plot the story suddenly quickens in pacing and then it ends. I would have loved to see some suspense in crescendo, the story could have pulled it off. Overall, I give The Joy & Torture of Joshua James a 3 out of 5. The Main Character is interesting but he doesn't show change at all. Probably, he didn't even learned a lot from his experience and that is why I couldn't develop sympathy towards him. Although, this young adult book is written in that direct way that makes me want to read a book, I see The Joy &Torture of Joshua James as a story that needs more developed characters in conjunction with a more developed chain of events. Joshua James's experiences seemed abbreviated and brief. I'm a huge fan of Julie Duck. Her books are intense, edgy and page turner YA stories that I can't wait to read. This book is written in Julie Duck's direct edgy style. Nothing is sugar coated therefore be prepared for a frank experience.This YA can be crude and strong for some readers, so I find it suitable for mature readers. The first thing I like about this young adult (more new adult to me) book is that it keeps continuity. The Dead Girls' Dance begins where Glass Houses ends, in the same circumstances for the characters. The second thing is that it begins in frail calm and ends in frail calm as well. At the beginning they are at the house, their safe haven, without certainty about their safety. At the end, they are at the house again but this time they are certain things won't get easier. 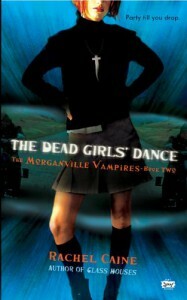 The Dead Girls' Dance has more action and puts the characters in more danger than the first book. The story doesn't provide a moments rest for them. They are fighting and trying to work solutions for what's threatening them on this chapter of the Morganville series. Claire has to survive a town in Texas swarmed with vamps, while trying to keep good grades at college and keeping her parents at bay for their own good. The characters are shown in a different light. Shane is passive for the majority of the book. He is the one in trouble this time and Clare, Eve and Michael are looking for a way to help him. Clare shows more security on herself, taking risks and making decisions by herself. I like Clare more in this book. Michael was more relevant to me in Glass Houses, now it seems like he diluted into the background. Only at the end he is relevant. Eve shows the same strong personality from the first book, but I have to confess, sometimes her goth self drives me into a boredom abyss. What wasn't I happy about in this book? Emily, this ancient vampire, seems like an ornament. Wasn't she suppose to protect them to some extent? In Morganville, if you have a vampire protector nobody can mess with you. So, that doesn't seem to apply for Claire and associates. Those poor kids had the worst moment and she was poor help. At least they could help themselves... if what they chose to do can be called helping oneself. Probably, calling their actions improvisation is more accurate. Nevertheless, Clare and her friends decision making skills is what makes Morganville series a rollercoaster surviving journey that can keep you in a no stop reading frenzy. Overall, I can't wait to read the next one. 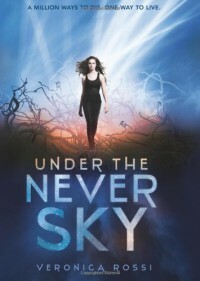 With great setting, interesting set of circumstances and cleverly invented characters to play on her world, Rachel Caine has done a great job in this series. Let's see what awaits on Midnight Alley. This comic gave birth to the series so it was time I grabbed the comic. This number introduces The Walking Dead world. Rick is at the hospital where he begins to notice what is happening in the world. In the outside he interacts with a man and his son and prepares for searching for his wife and son. Rick looks scared but decided to find them. Like in the series he shows his qualities and empathy towards people. I like the art and colors in The Walking Dead. The cover looks really good. Inside, images are shown in black and white, which really suits the The Walking Dead story. Zombie design is somber, amazing and depicts rawness. 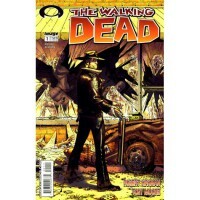 Without doubt, The Walking Dead is a most read in the graphic novels' world. My little girl loves stories. Therefore, I'm always looking for children books to share with her. She liked this one a lot and I hope your kids like it too. One favorite thing about this book is how the author guides the reader in the discovery process without been obvious. Kids understand why things happen by analyzing. One Tree has lovely illustrations and character design. Colors are beautiful and the story is refreshing. Love the complete idea and environment design. The writing style engages the kid's interest and curiosity. 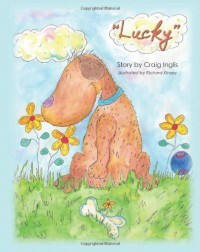 The story is simple yet full of life's lessons for our children. I browse the 2013 Superman Sampler and it has great stuff you should check. It provides a really good compilation of Superman stories. This sampler shows Superman in different circumstances where the man of steel is not always a strong character, but also someone who can show how vulnerable he is. The artwork is well thought and shows how well the artists are attune with the stories they are working with. The sampler is well organized and it provides a nice scope of what Superman is all about. The child in the story comes from a family where she has two dads to take care of her. She finds herself in a spot where one of her peers is curious and asks her about her life with two father figures. Her friends asks her simple questions which she answers directly and in a simple way. This kid is curious about his friend who lives in a home with a different family composition. She explains to him the activities they share. A truly lovely story. This girl shows individuality and maturity. I like the way she answers every question her friend asks her. Any children reading this can learn about how family have diverse circumstances and compositions. The story shows how the idea of family as a concept has evolved into something completely different during the years. It is a great tool for kids learning about interpersonal interactions, family love and community. The art is cute with lovely colors. One of my favorite things about the book is the explanation about the creating process. Love how the drawings are first created in pencil. I recommend this title for Preschoolers and up. Source: Netgalley for honest review.